Back in 2010, there was a moment when I walked out of the cinema after seeing Inception, and I thought - "That would make a great roleplaying game." Seven years later, I'm still working on that game - WILD. An RPG of "dreamsharing". I've always been fascinated by dreams, ever since having the crap scared out of me with the first Nightmare on Elm St, so that moment when I decided to stop dreaming about a dreamshare game and actually write one, I started devouring everything that would help to inspire, entertain and inform. 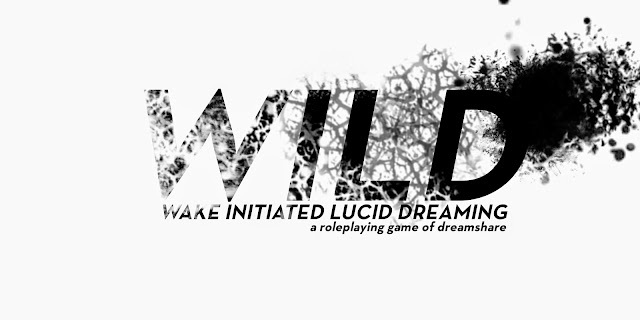 Readers here on my blog have followed the development of WILD (short for Wake Initiated Lucid Dreaming), how I've been writing the game, working on the game system, and changing and developing it over the years. Hell, you just have to click the WILD RPG button at the top of the blog and you'll get all the posts filtered for you. Even when I've been working on other things, it's been burning away at the back of my mind. So much so, that when I thought foolishly that I'd join my wife's yearly crusade for NaNoWriMo, I wrote a novel in November 2012 - tentatively titled "Into the WILD". The novel served as a work of fiction aimed at teens, that could be read alone (it was the first of a trilogy) or as the backstory and background to the roleplaying game - explaining why and how the dreamsharing technology came into existence. It followed a tech developer's teenage daughter who slips into a coma. We follow the story mostly from her point of view, trapped in her dreams, while her father develops the dreamshare tech hoping to go into her dreamscape and help guide her out and to wakefulness. It was okay, but needed a hell of a lot of work doing to it. But I finished something (for once) and the following NaNoWriMo I decided I'd either work on the sequel, or the rewrite. 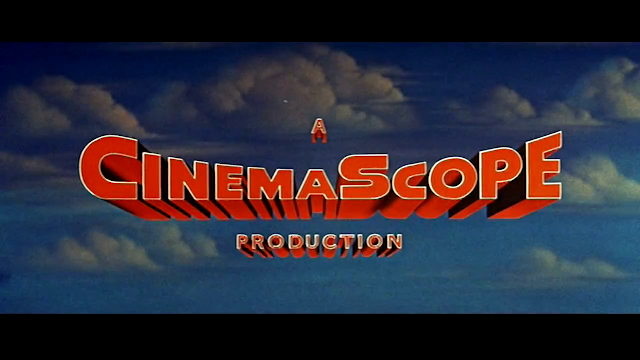 Time passed, but I always kept an eye open for movies, series and books about dreams to keep my mind in the right place while was working on the game. Seven teenagers who suffer from debilitating insomnia agree to take part in an experimental new procedure to cure it because they think it can’t get any worse. But they couldn’t be more wrong. When the lab equipment malfunctions, the patients are plunged into a terrifying dreamworld where their worst nightmares have come to life—and they have no memory of how they got there. Hunted by monsters from their darkest imaginations and tormented by secrets they’d rather keep buried, these seven strangers will be forced to band together to face their biggest fears. And if they can’t find a way to defeat their dreams, they will never wake up. Crikey! Sounds a bit like what I'd been working on. Getting to the point, the book came out in the UK a couple of weeks ago and I picked up a copy from my local bookstore to see what it was like. First of all, it's nothing like what I've been working on, so that was a relief. Secondly, it's actually really good! As the Amazon blurb says the story revolves around seven teenagers who are hooked up to a machine in a research lab for an experimental cure for their insomnia/night terrors. After a freak accident, they're trapped in a cycle where they are trapped in one of the seven kids' most horrific nightmares, and if they survive they can recover and rest (and their wounds are healed if they've survived) in a "void" like loading space, before being thrust into the next nightmare. The nightmares are horrifically familiar, playing on everyone's worst fears and making them even more harrowing. I must admit, for a teen title I wasn't expecting to feel quite so palm-sweatingly tense while reading it. I mean, I'm in my late forties. I shouldn't be wigged out (for want of a better term) while mentally egging the characters on to escape. Another confession is that I normally don't like books in present tense. Maybe it's just old-fashioned of me, but I can find it a little off-putting. And, this is told in first person from three different perspectives - Cata and Fergus (two of the teens trapped in the "dreamfall" as they call it), and Jaime (a med student sitting in on the experimental procedure, often noticing details the doctors behind this process are missing in their panic). Thankfully, the writing is excellent and you can tell the characters apart - their voices feel different - and the present tense gives the nightmare sequences a real sense of urgency. There are some excellent plot-twists - one of which I saw coming, but it distracted me from the other couple of twists so well that I was genuinely surprised. As I mentioned in previous posts, I've had real trouble concentrating at the moment. Stress being the major factor, I've found it really difficult to finish books, or sit through any movie that's less that utterly gripping. Dreamfall, I read in its entirety in three days, which is a great testament. In summary, it's great. Loved it. A fast paced, gripping read with some seriously scary moments. Thankfully it is very different from what I had been working on, so I can breathe a sigh of relief. My only complaint? It really finishes with a bit of a cliffhanger, and we have to wait until May 2018 for Neverwake to finish the story. I don't know if I can wait that long! You can find more info about Amy Plum on her website here. 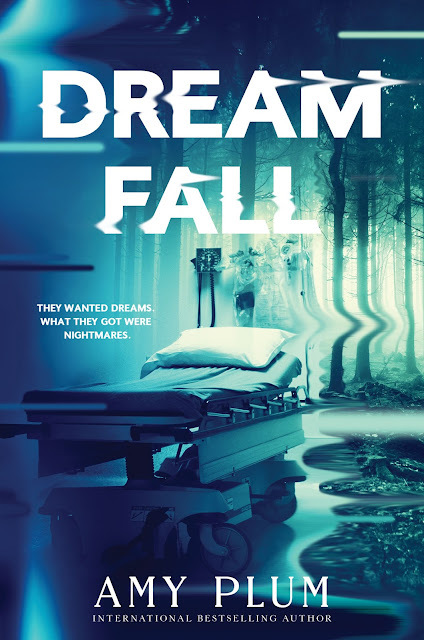 And you can find Dreamfall in bookshops (preferable) or on Amazon or Waterstones. Maybe I should get back to that novel for this year's NaNoWriMo? I was in a large, old building in London. The sort of building you see in the movies, that are owned by the rich, or possibly even a gentleman's club. I remember going through to the kitchen, and someone I recognised offered me a piece of chocolate cake. It was a huge chocolate cake, with white icing, but it was balanced on a breadboard on top of the washing up. As I turned to rescue it, it sank into the washing up water, and I ended up scooping it up in my hands and throwing it into the bin. I returned to the main sitting room of the "club" and Peter Dinklage and Al Pacino were there, discussing their film work. I sat at the table wanting to join in with the conversation, when a tall, skinny guy came up to me and asked who I was. He kept asking me strange questions, but I was frustrated because he didn't listen to any of my answers - he was just waiting for a space to talk to me about his project. However, his project was a book. He handed me a copy and told me to have a look. It was large, like a phone book, and I started trying to read it. It was full of pretentious language and made little sense, but the further through the book I got, the more illustrations appeared. It became almost half graphic novel, half book, with individual words in different colours. Some of the images moved, parts we orientated differently. I asked if he'd been influenced by "House of Leaves", and I closed the book. He pretentiously called it a Bible, but I recognised the cover from one of the advance catalogues I'd used at work. But what to do with this information? This is obviously my subconscious trying to tell me that I like the idea I'd already had for how I want the book to look. But who was the person telling me about his book in my dream? I seem to remember him looking a lot like Tony Hale from Arrested Development, but I haven't watched that in many years. And why were Al Pacino and Peter Dinklage there? 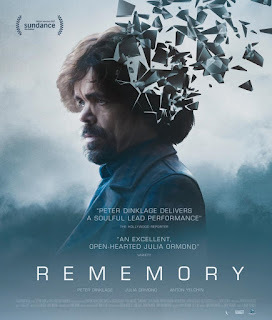 Maybe it's a subconscious thing again, knowing that Dinklage is in a movie I'm about to watch ("Rememory") that uses a headset device to access the memories of people... a sort of murder mystery type thing. Al Pacino? Maybe that's from Insomnia, and the video documentary I was watching about Christopher Nolan films? They say you never dream of a face you haven't seen. What should I do with this new knowledge? Go with it? Know that I'm on the right track? Dreams can be quite an inspiration. There's always the legend of various scientists and artists waking from their dreams with ideas for formulas, works of art or songs, perfectly formed and them leaping to desperately note their ideas before they vanish. Hell, going back to David Lynch (see previous post), one of the great inspirations for my creative life for many years. He uses dreams to inspire and even "catches the big fish" - that is, finds the inspiration and the ideas by swimming the great lake of the collective unconscious through transcendental meditation. If my dreams are telling me that I'm on the right track, I just hope they give me ideas that I can use. Just a quickie to say that there have been some minor cosmetic changes to the blog. It was annoying me that the actual area the text filled on the blog was tiny compared to the background. Recently, Blogger has added a way to adjust the width of elements, and I've done a little tweaking. So, if you look at any of the older posts on here (after all, this is my 252nd post on here) and the pictures, and the runaround of the text around the pictures, seems a little weird, it's because I've changed the width. I've corrected a host of the major posts, like the Harry Potter ones, and the RPGaDAY posts, but some of the older ones may not flow perfectly. Sorry! Hope you think the site looks better for it! I mentioned in a post a while back that I was a huge fan of Twin Peaks (and David Lynch in general). I really wanted to write a post on here about the finale of the third season of Twin Peaks, or Twin Peaks: The Return as it's often called. But where to begin? I LOVE the unexpected. Anything that avoids that moment when you go "Ah, I can see what's going to happen" is great in my book. I love to be surprised by TV and movies, to not see the same old plots and tropes. 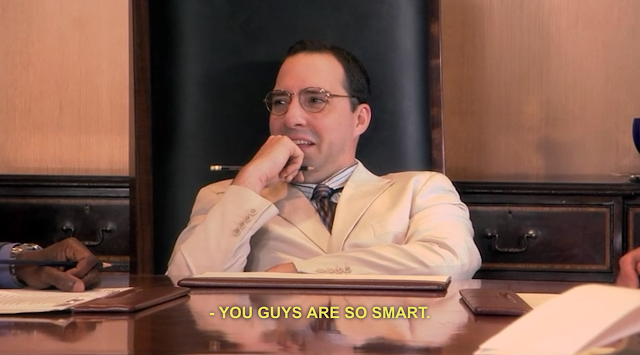 Twin Peaks is far from predictable. 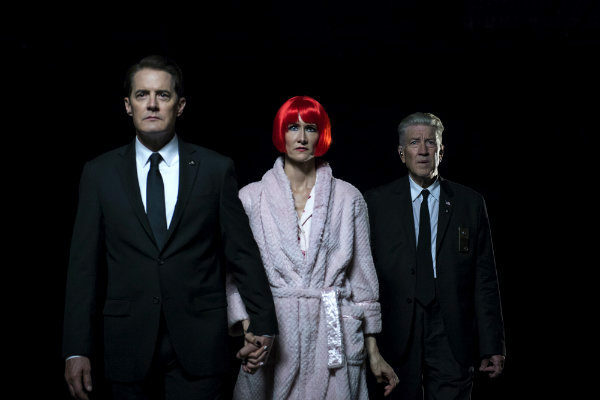 Where the first couple of series were a soap opera / murder mystery with some paranormal elements, the third / return series has been full-on David Lynch. My old post was just after watching the first two episodes and I was already hooked and thrilled. 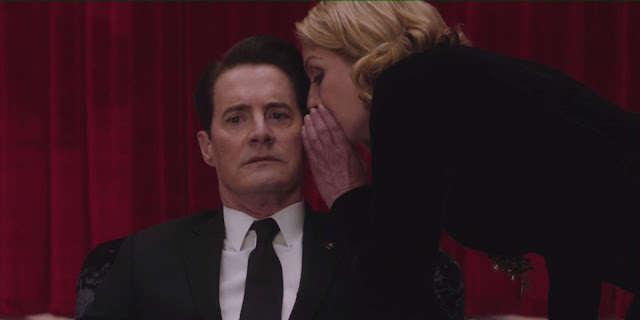 It did everything I wanted - it introduced new characters, a new murder mystery, addressed some of the Cooper elements with the Black Lodge and the doppelgänger, and had some stand out weird elements. But nothing prepared me for the now legendary Episode 8 (aka "Gotta Light?") where, after a brief period of relatively normal narrative, we are treated to a live performance by my favourite band ever (Nine Inch Nails), then 45mins of strange black and white sequences with the nuclear explosion at Trinity, the birth of BOB from the "Mother", the Fireman sending a golden orb of Laura Palmer into the desert, strange frog-legged bugs crawling into the mouth of a young girl as she sleeps, and various woodsmen breaking into our reality and killing people. That was the moment I had an epiphany. Twin Peaks had a message for me. "Do whatever you like. Don't try to please everyone, just create." Do you think David Lynch, when he was coming up with that episode, thought "I really shouldn't do this, people won't get it." I know Mark Frost co-wrote this series, but there's so much Lynch in this episode - so much Eraserhead and his wacky b/w art-movie feel - that I don't think Frost got much of an input on this one. But it really did make me think that I should stop worrying about what I'm writing, and just get it out there. Not everyone is going to like it, but someone will. Maybe just one person who's as nuts as me. Then came Episode 14, aka "We are like the Dreamer". Like Lynch, I'm fascinated by dreams. I wish I could do the transcendental meditation where he catches his big fish. But if you've followed my game writing, especially for WILD and what I've been trying to do for the last six years with it, you'll understand. 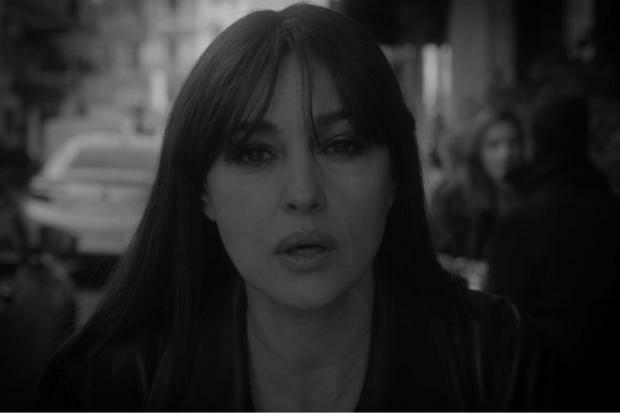 When Episode 14 started and Gordon Cole (played by David Lynch) says that he had "another Monica Bellucci dream" and we see the strangeness that unlocks a memory of his encounter with Philip Jeffries (the late, great David Bowie) back in the movie Fire Walk With Me - you'll know I was squirming and giggling with delight. "We are like the dreamer, who dreams, and then lives inside the dream. But who is the dreamer?" The finale was shown as two episodes (17 & 18). Everything was perfectly wrapped up in Episode 17 pretty early on - evil Cooper doppelgänger (Mr. C) had been dispatched, the BOB inside was punched into oblivion, and then it all gets REALLY weird. With a close up of Cooper's face superimposed over a lot of the scene, Cooper foreshadows what he intends to do - "There are some things that will change. The past dictates the future." But the superimposed face of Cooper reminds us - "We live inside a dream." Twenty six years ago I was just as obsessed with Twin Peaks. As I mentioned in my previous post, I recorded them all off of BBC2, and analysed them as much as my younger brain could. 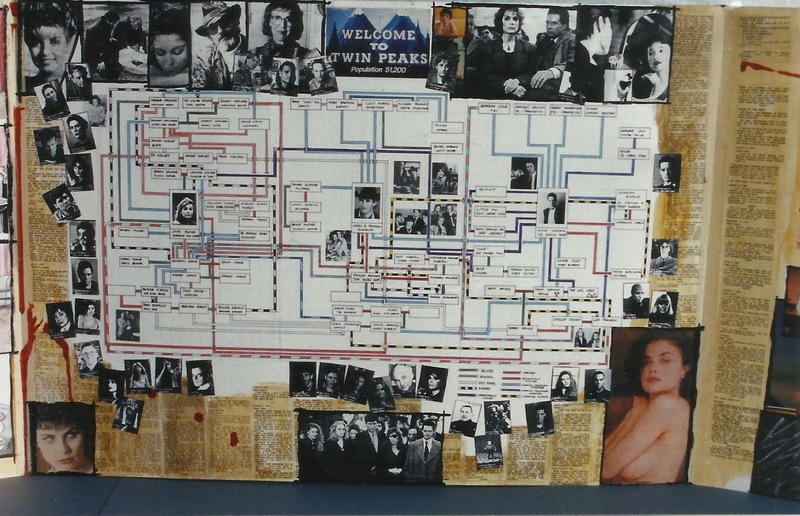 When I had to present a project for my graphic design course (the project was to explain something to someone) I foolishly picked Twin Peaks. A couple of weeks ago I stumbled across a photo I took of the project, trying to make a relationship map with all of the characters from the original two series. It's not very good, and I didn't have the internet to check all of the relationships, but it does show how completely and utterly obsessed I was with the series back then. I hope it raises a smile at least! Now, with the finale out of the way, it still inspires me. There are huge elements that tie in with what I've been writing - dreamlike narratives, the strange seeping into reality, tulpas, etc. I'm looking forward to a rewatch of all 18 hours (though it may be a bit mindblowing to do it in one sitting). All I can really say at the end of all of this is a huge thank you to Mark Frost and David Lynch. For letting us into their world, and telling us that it's okay to be inspired by our dreams. And thank you to everyone involved with the series. For challenging what a TV series can be and getting everyone talking and thinking. Please don't leave us wanting for another twenty five years!